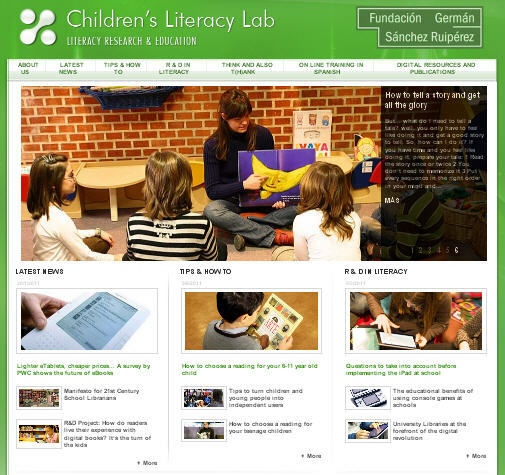 The Children's Literacy Lab is a website created by the ﻿GSR Foundation (Fundación Germán Sánchez Ruipérez), a private and independent non-profit institution focused on the promotion of reading. The GSR Foundation was established by the Spanish publisher, Germán Sánchez Ruipérez, who wanted to focus on the reader instead of the books. The foundation is dedicated to first readers, and has implemented innovative community programs through libraries. 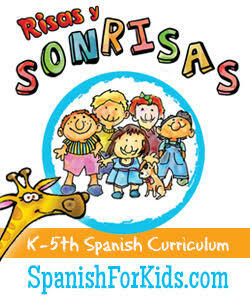 Based out of Spain, this fabulous site is published in English and Spanish. It shares the latest news related to literacy, how-to tips for parents and educators, as well as how technology is influencing today's readers. 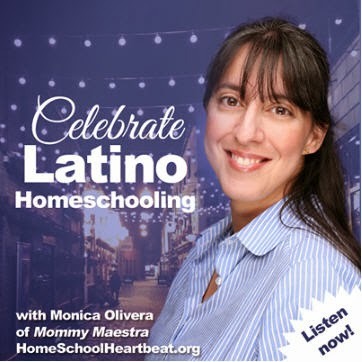 The site also provides online training in Spanish on subjects like how to enhance your teaching with online educational resources. 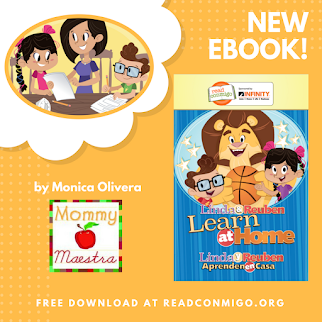 My favorite part is the free digital school library in Spanish, and I know many of you will enjoy this, too. 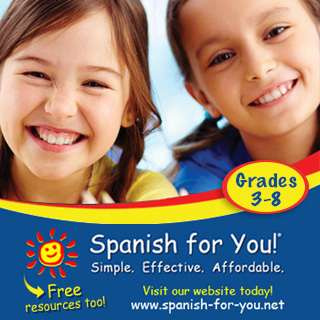 If you are a bilingual-ed teacher, this site is a fabulous resource. 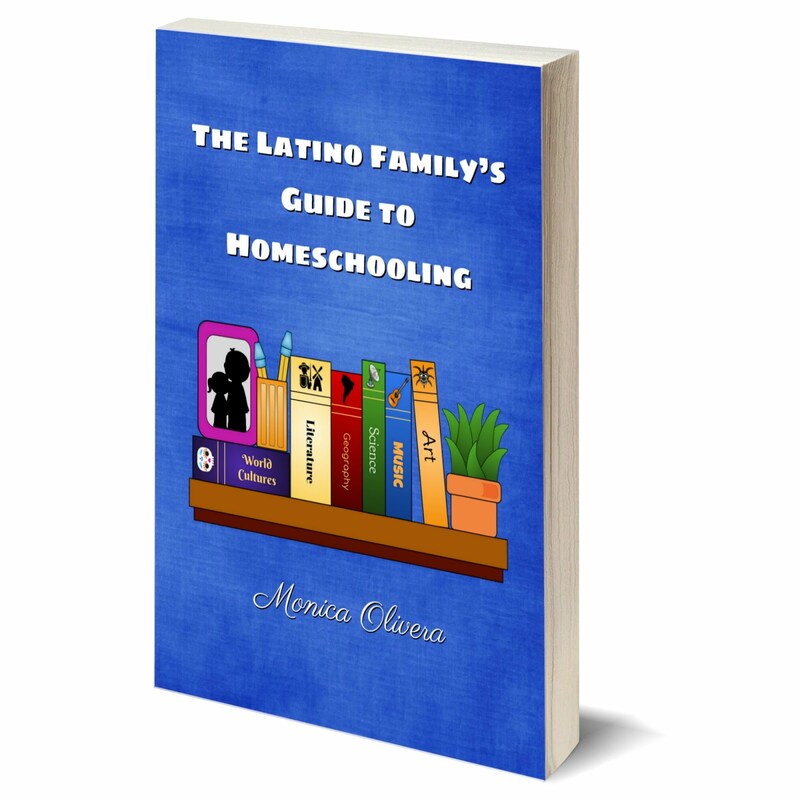 Parents, you will enjoy reading the articles and tips.